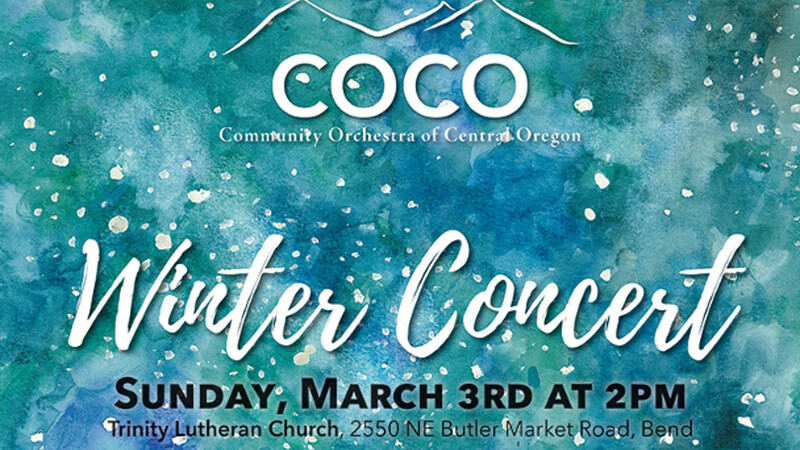 The Community Orchestra of Central Oregon presents its winter concert in Bend at the Trinity Lutheran Church on Butler Market Road at 2:00 p.m.. Hear a little Broadway, enjoy a few classical pieces, and move to some jazz. Our Pops concerts are becoming ever more popular (pun intended! ), and they are FREE! Coffee and home-baked treats are served at program intermission.